This post explains how to use ST LoRaWAN development kit to transmit data over French Orange LoRaWAN network. 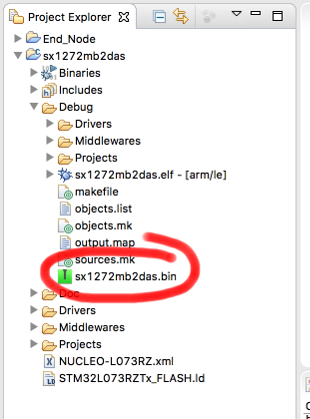 We will use a sample source code from ST, which we will compile and link using System Workbench for STM32, based on Eclipse. ST LoRaWAN kit is a bundle of the NUCLEO-L073RZ board and a dedicated expansion board implementing a SX1272 radio transceiver. Libraries and application examples are provided by the I-CUBE-LRWAN software package. 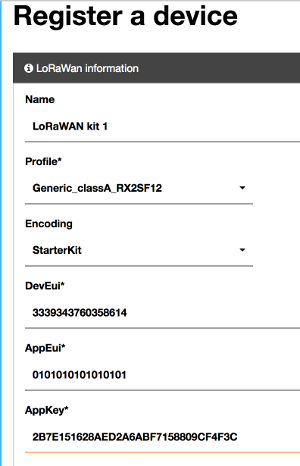 The UM2085 User Manual explains how to use the LoRaWAN kit. The UM2073 User manual introduces I-CUBE-LRWAN software package. Unplug the LoRa shield (expansion board). On LoRa shield, connect the antenna to the ANT connector. Plug the LoRa shield back on the Nucleo board. Connectors are asymetric, so you can’t plug it in the wrong way if you check that all pins are plugged in. Software installation described below has been tested on Linux Mint 18.1 and macOS Sierra. It should work on Microsoft Windows as well. 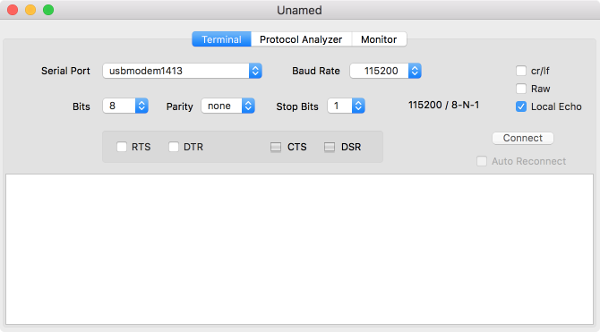 Install a terminal emulator. On a Mac, this can be SerialTools, for instance. On Linux, you can use CuteCom. 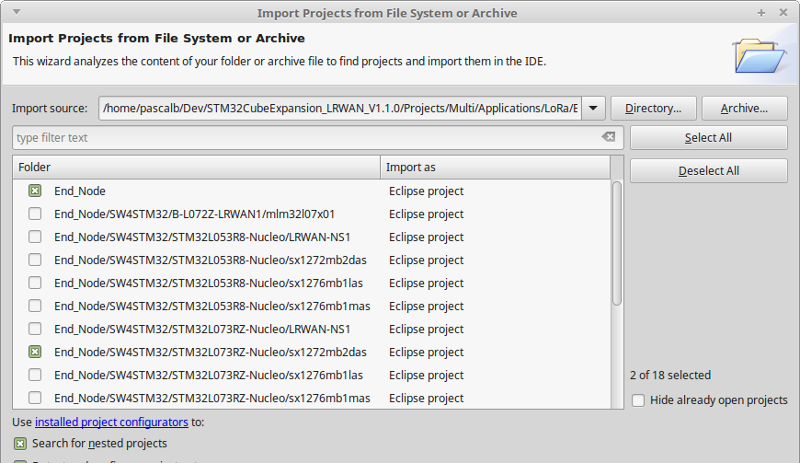 Install Eclipse IDE for C/C++ developers. After having signed up at OpenSTM32’s website, follow Eclipse plugin installation instructions. Do not request installation of deprecated tools. For Linux, do not forget to add the specific ST-Link udev rule, as stated by the installation instructions. After having signed up at ST’s website, download I-CUBE-LRWAN. Unzip the file. Connect the LoRaWAN kit to the computer. The Nucleo board should become visible as a mass storage device. The last three lines are repeated until the LoRaWAN kit is accepted by Orange LoRaWAN network. The profile and the encoding were chosen more or less at random (!). You can now start modifying the LoRaWAN application source code, in order to adapt it to your requirements.